Losing the TV remote has to be one of the most infuriating things of modern home entertainment, especially now that they have so many buttons on them. Lose the wrong remote and chances are you’re left with an expensive ornament stopping your TV stand from floating away. Today, Google went some way to helping avoid such irritations by releasing an iPad app that allows users of its Google Fiber TV service to control their television watching experience from the comfort of their iPads. Previously such luxury was only afforded to those toting Android devices, but now owners of iPads can get in on the act, too. Available for free from the App Store, the Google Fiber TV app offers an absolutely gorgeous method of controlling Google’s TV equipment right from the comfort of an Apple tablet, meaning no more lost remotes. In fact, we suspect that people will use the iPad app rather than the legacy hardware remote that they’re currently so worried about losing. 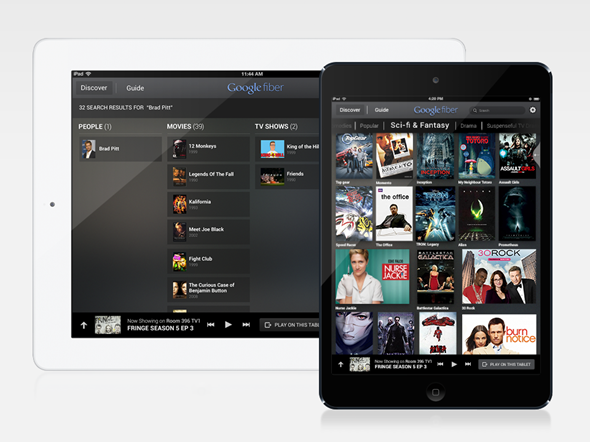 Users of the app can use it to find TV shows that are airing live, are recorded on the DVR or are available on demand. Those using the Google Fiber TV app on an iPad need never use a real remote again, with the ability to to buy and watch on demand content via the iPad, also. Many media companies offer similar applications allowing their subscribers to interact with a set-top box in a way that traditional remote controls simply cannot do. The fact that Google has done the same should come as no surprise, especially with the iPad being so popular. The app itself is certainly one of the nicest we’ve seen – it’s clear that Google meant business when putting it together. 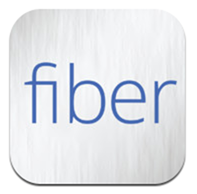 Of course, it’s limited in that not everyone will be able to take advantage of Google’s Fiber TV in the first place, but if you’re lucky enough to be a customer and also own an iPad, this app is certainly something you’ll want to check out. So, if you happen to live in the right part of Kansas City in the United States, you’re in luck. If not, well, you can still download the app. Just don’t expect to get much use out of it!